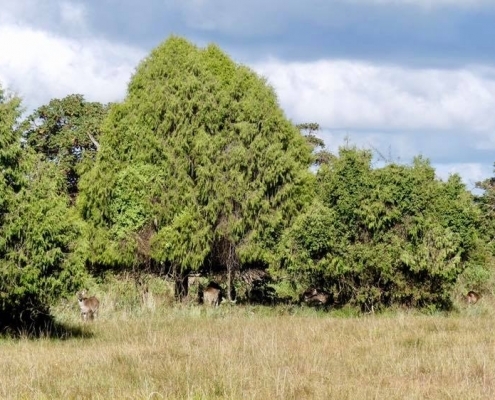 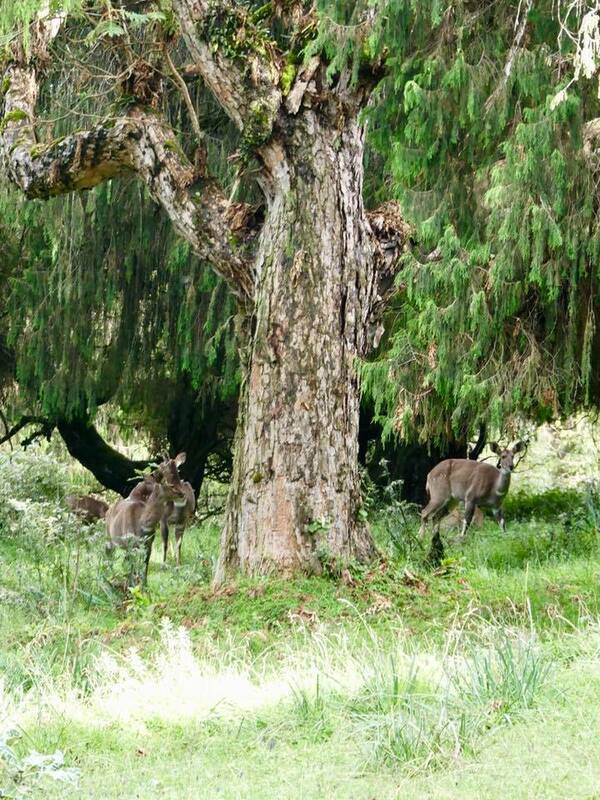 Another habitat that takes over from the grasslands as the elevation rises are the woodlands. 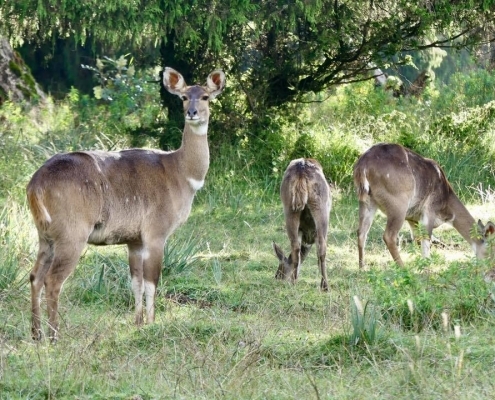 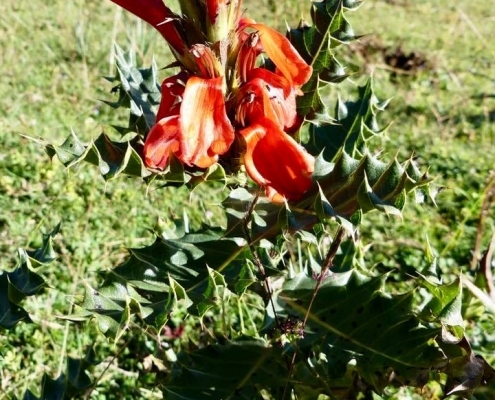 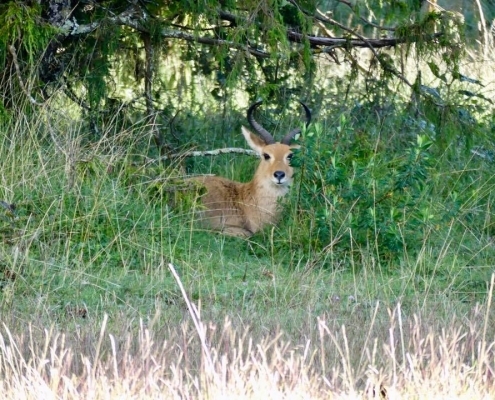 Similar animals here, including three antelope species that are found only here and nowhere else on earth. 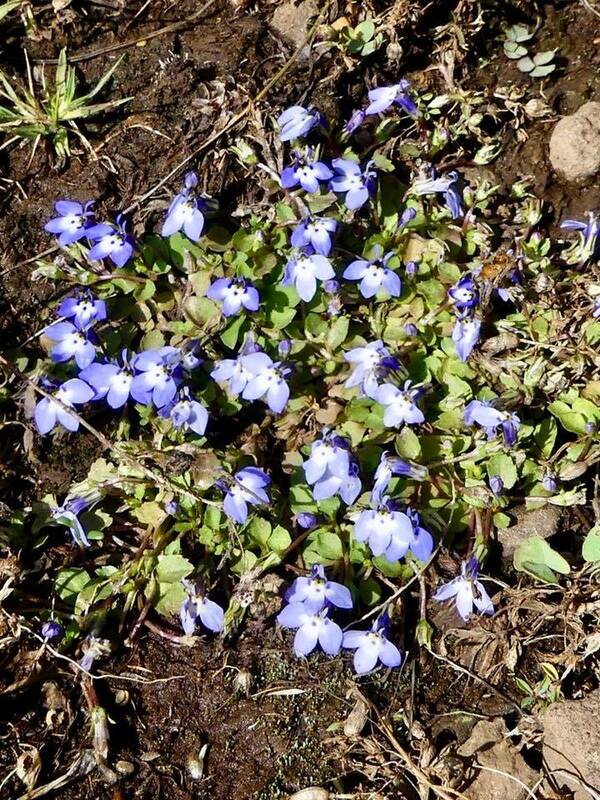 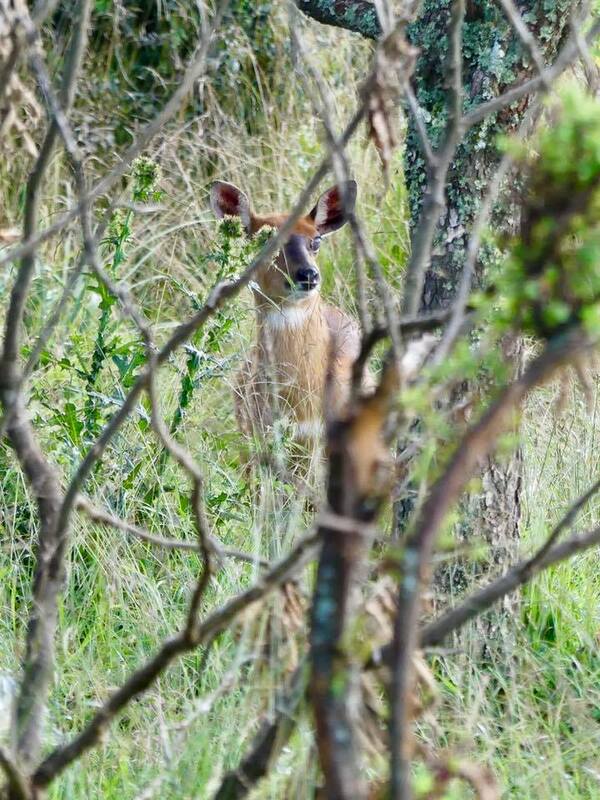 And I pretty much didn’t stop hiking around the woodlands area until I managed to see all three. 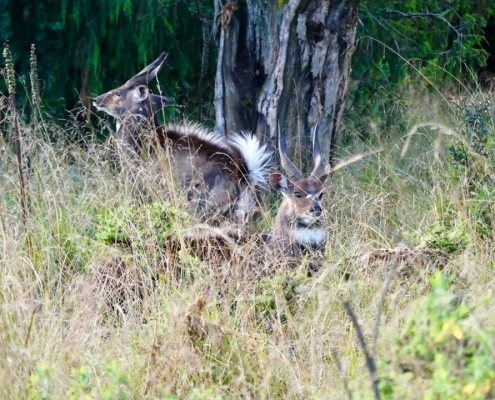 The most beautiful of them are the Mountain Nyalas. 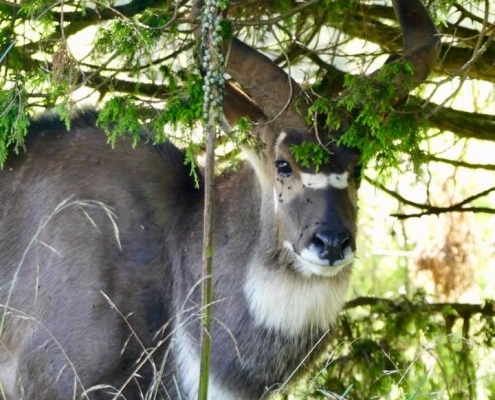 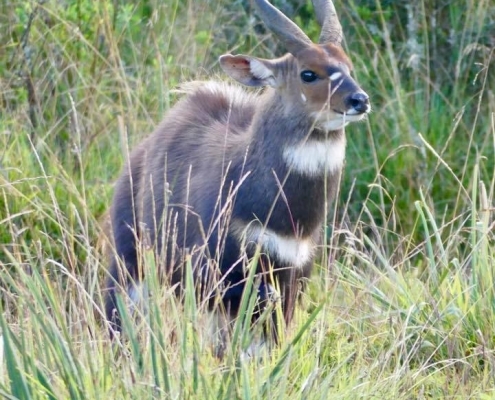 This animals was the last large antelope species discovered in Africa, totally isolated and distinct from the similar-looking kudu in the South Africa. 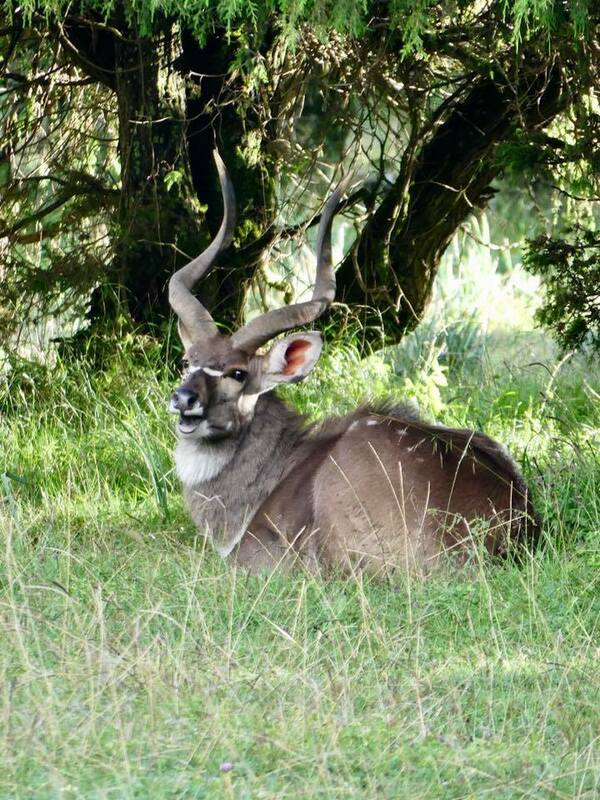 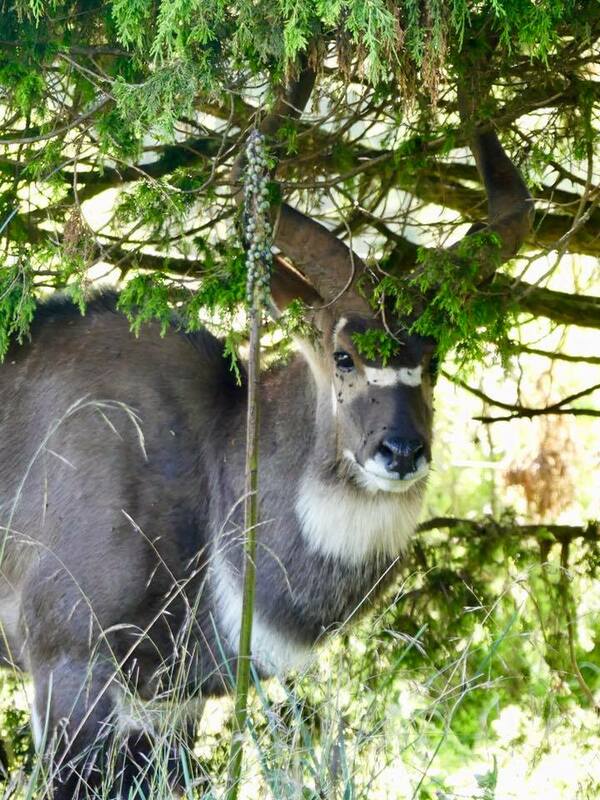 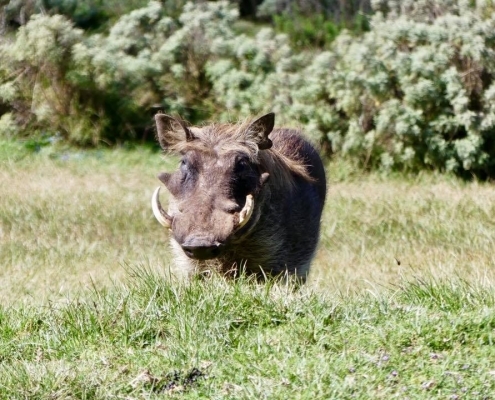 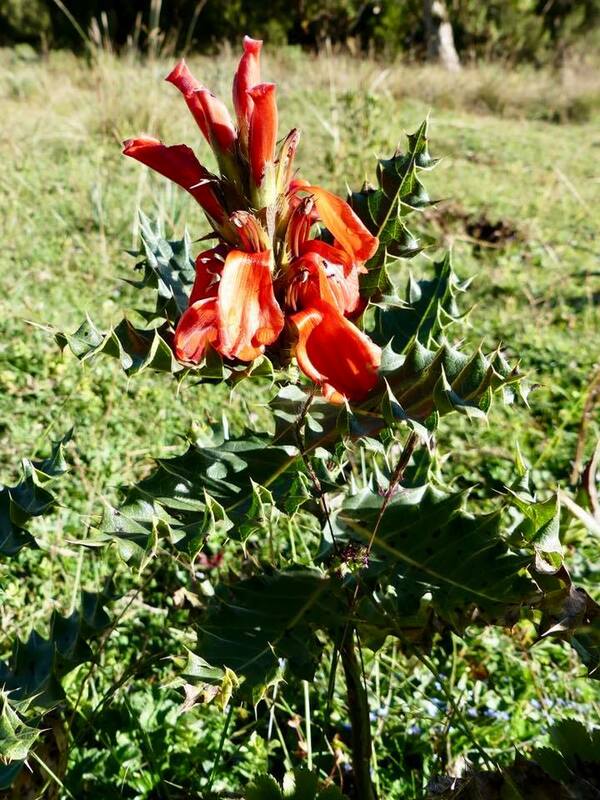 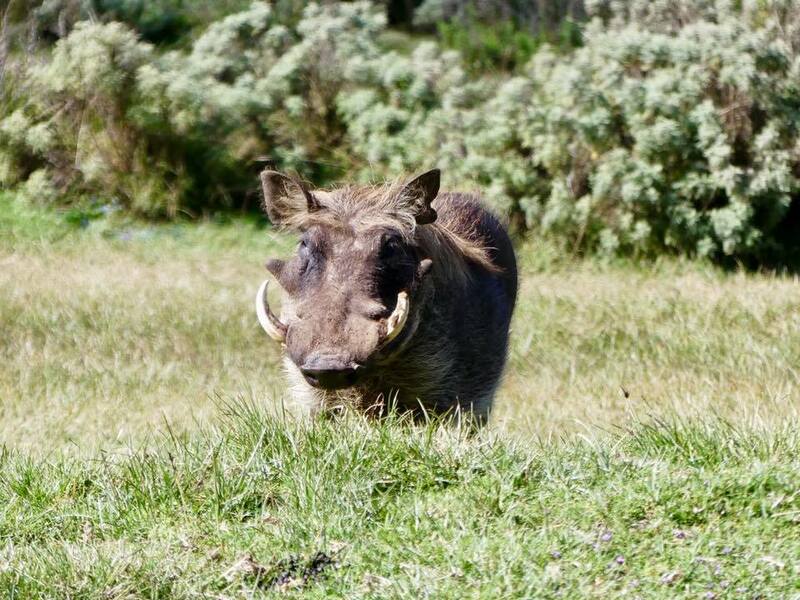 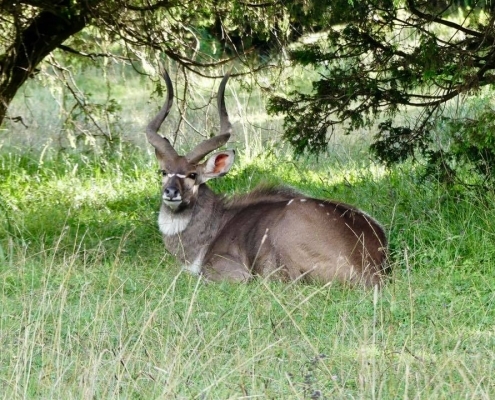 The males have spectacular curves horns and weigh up to 300kg/1000lb. 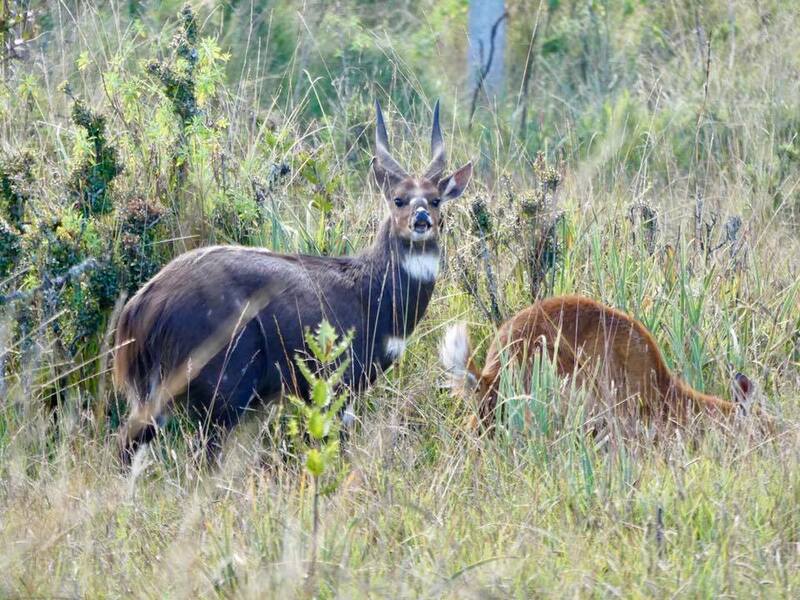 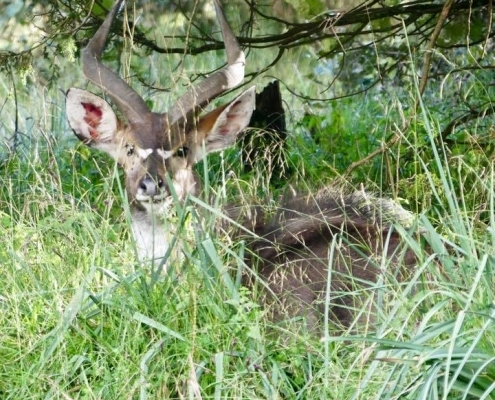 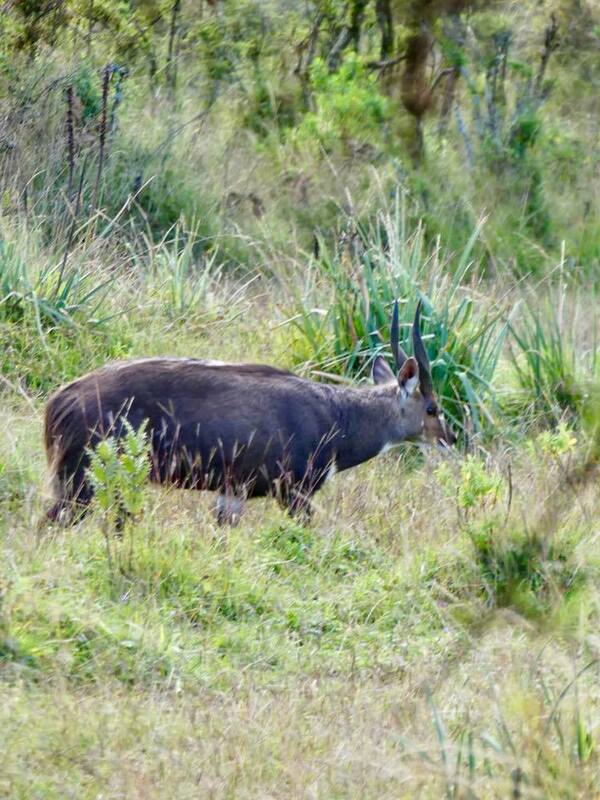 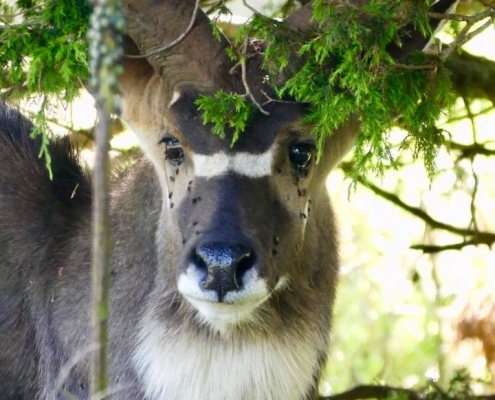 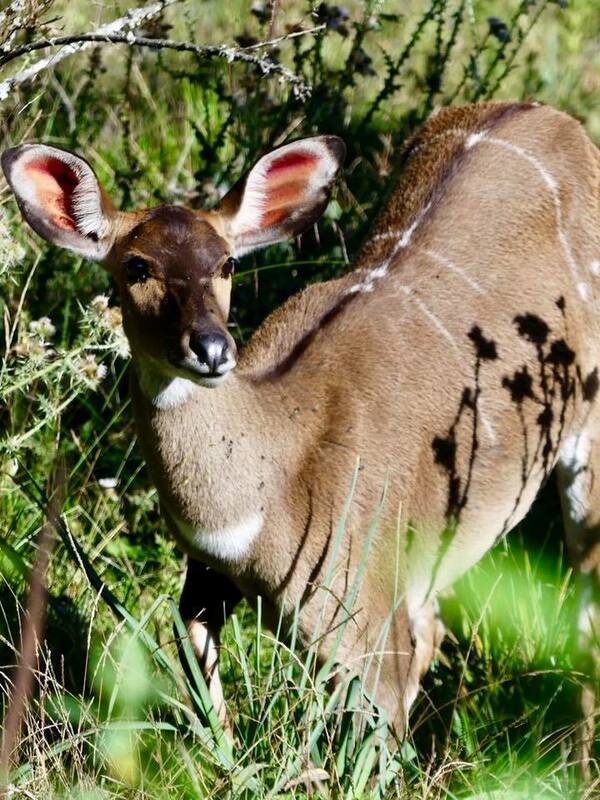 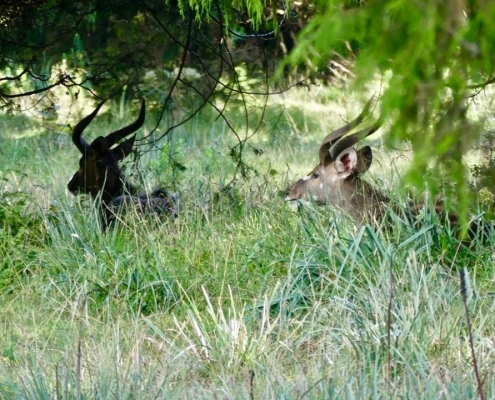 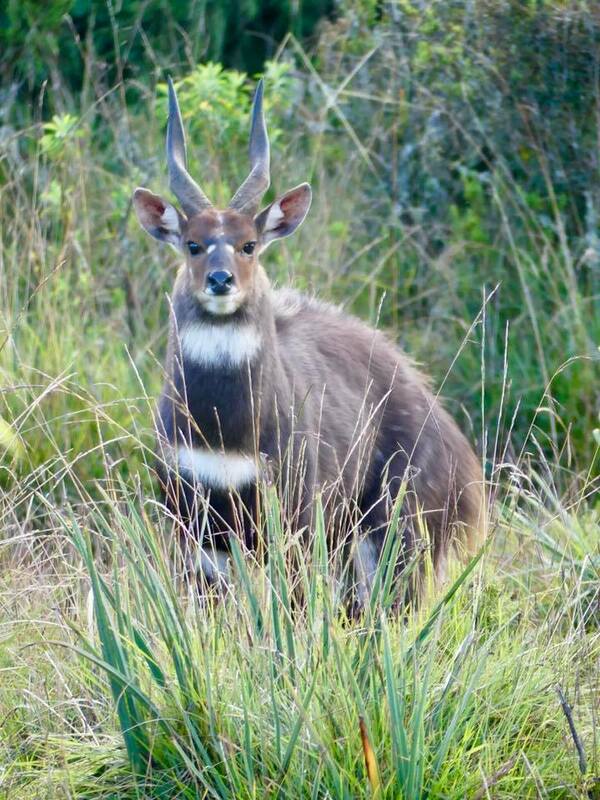 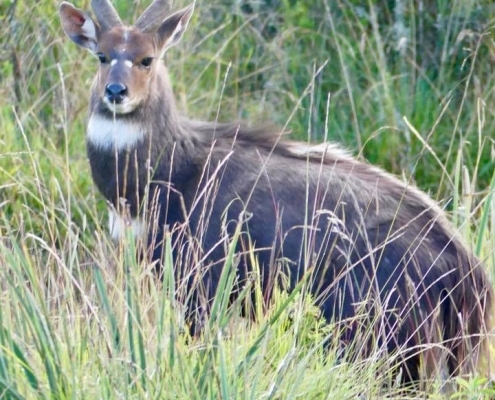 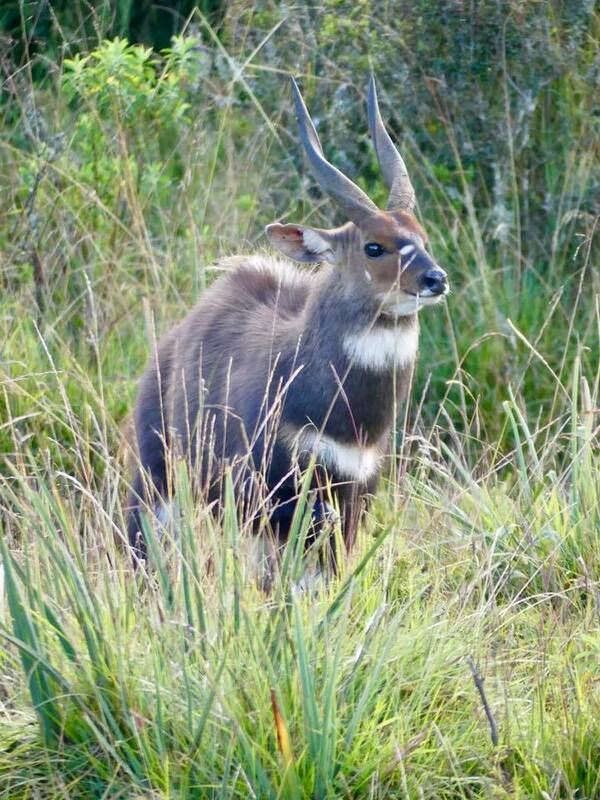 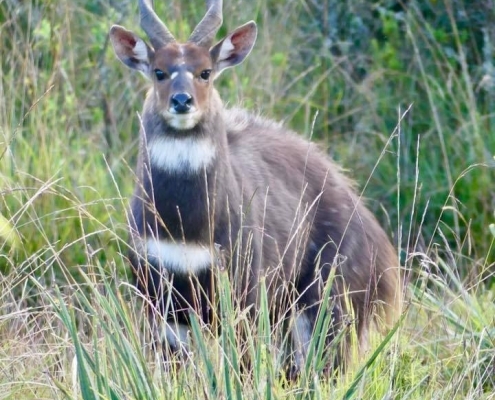 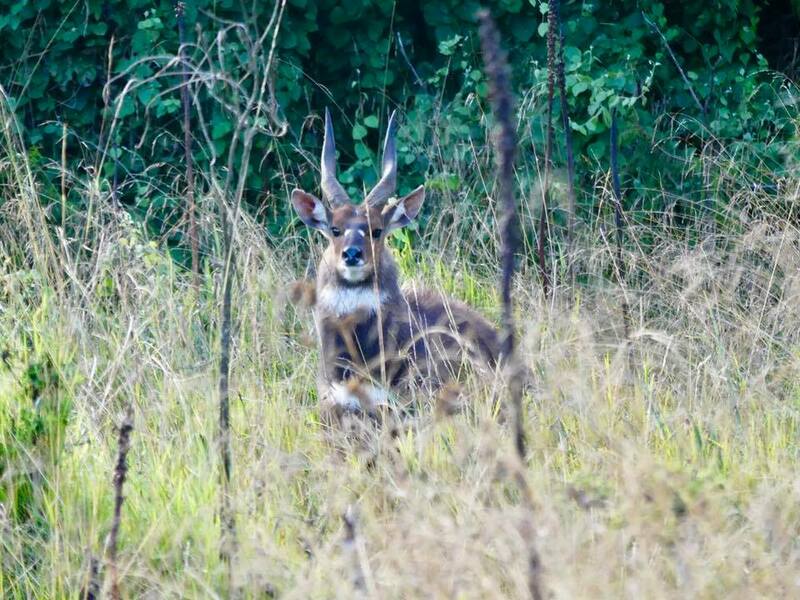 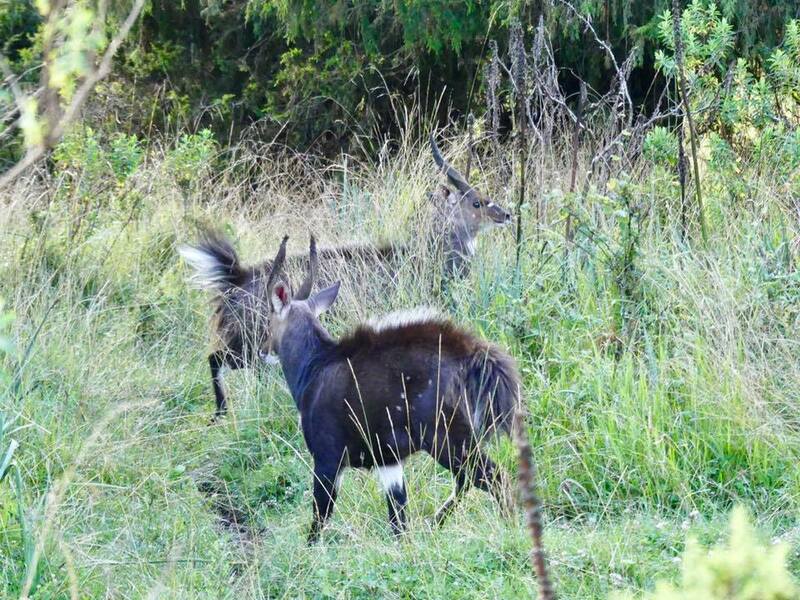 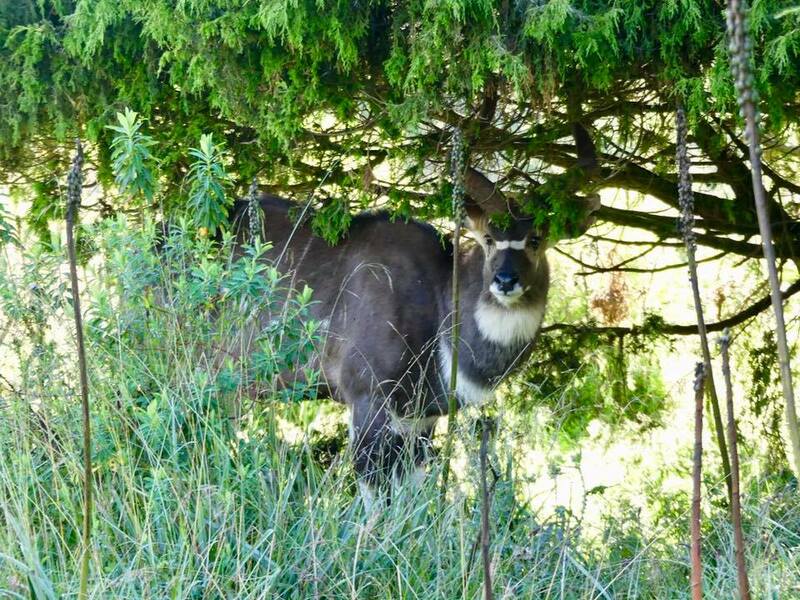 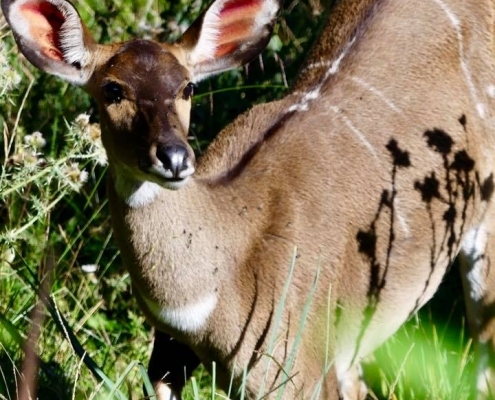 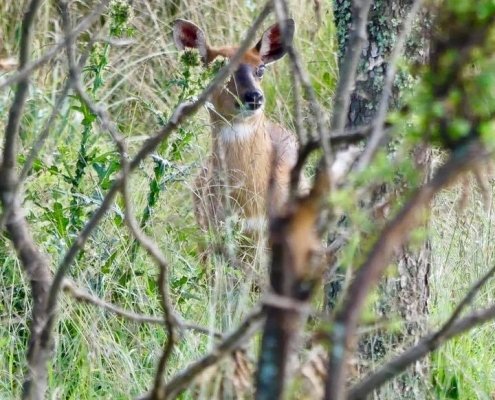 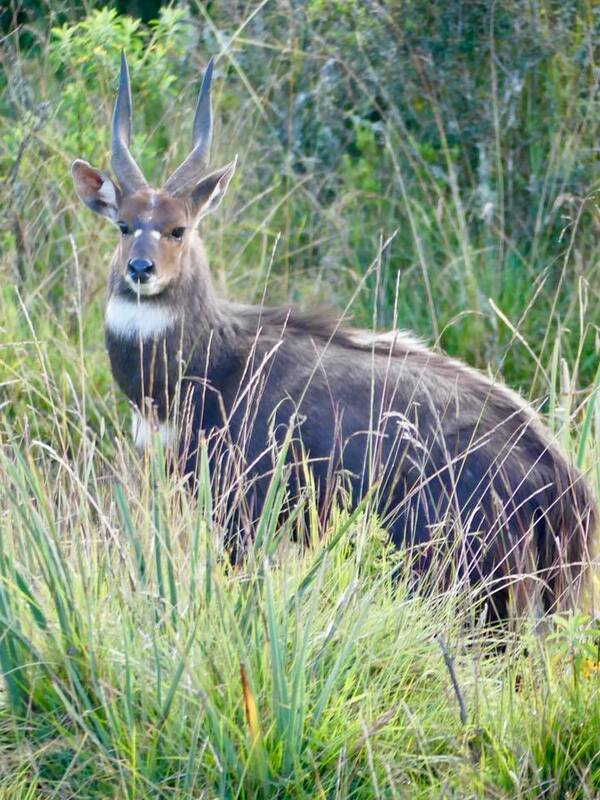 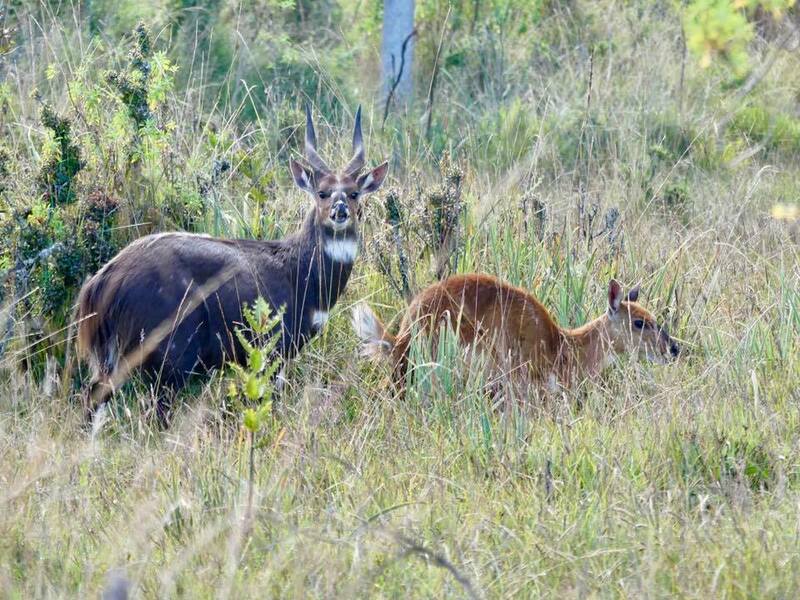 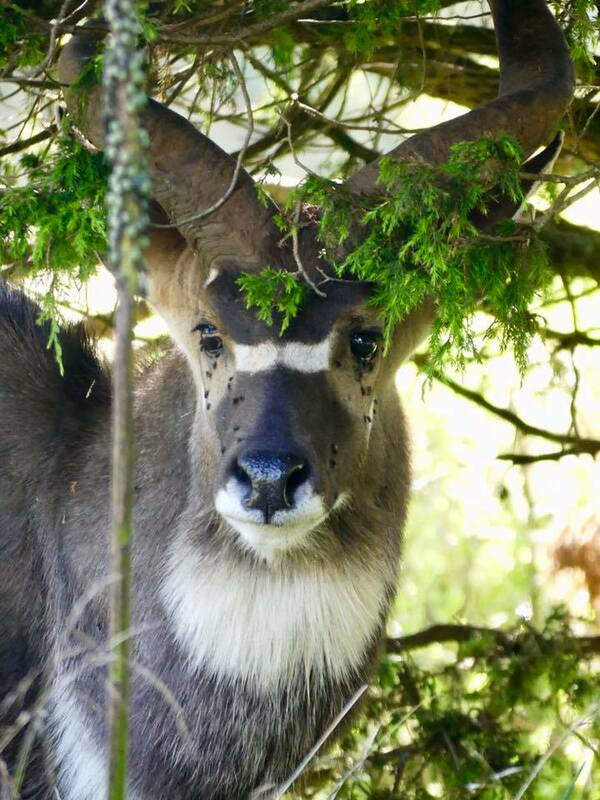 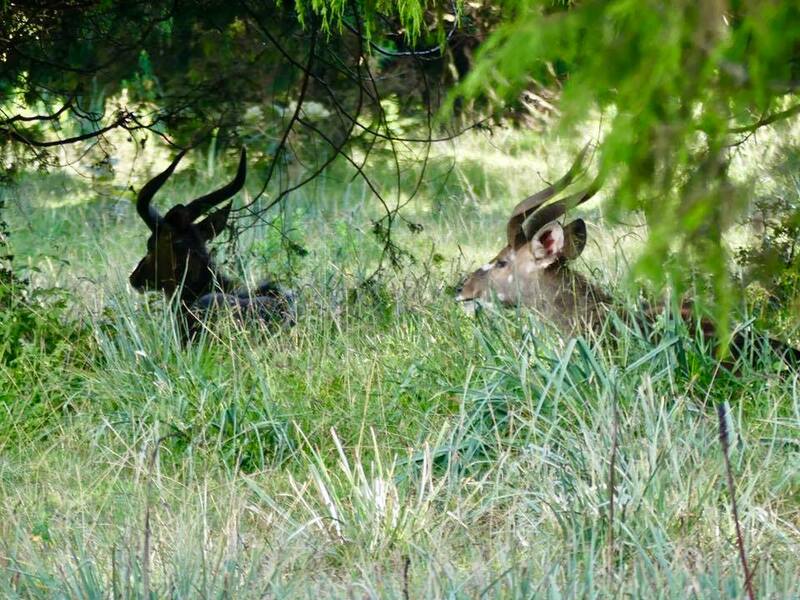 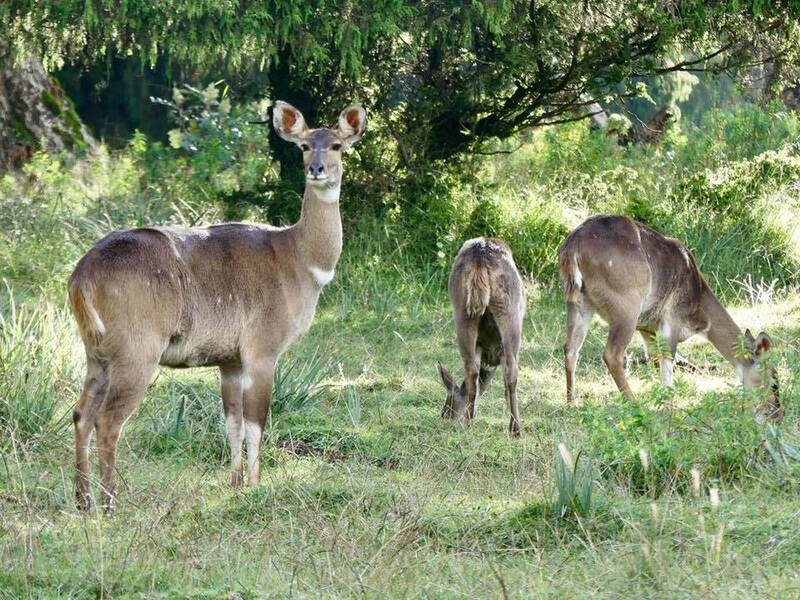 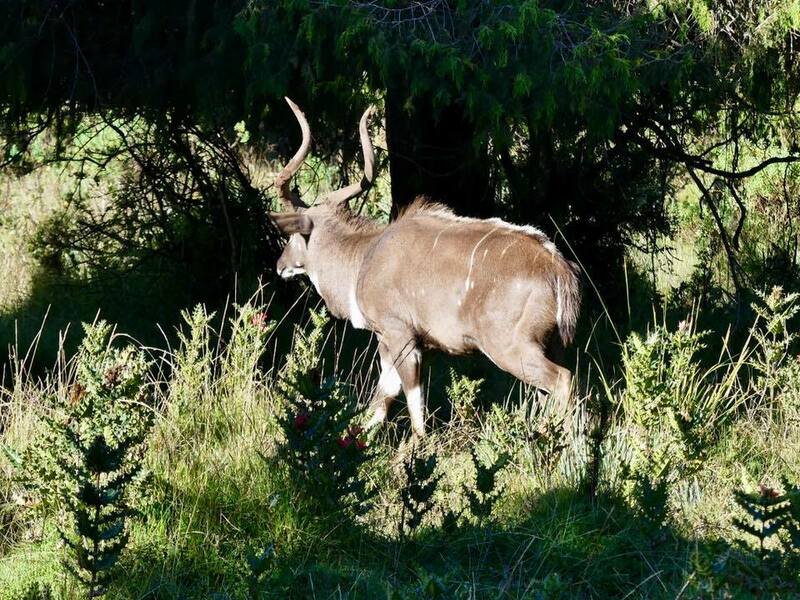 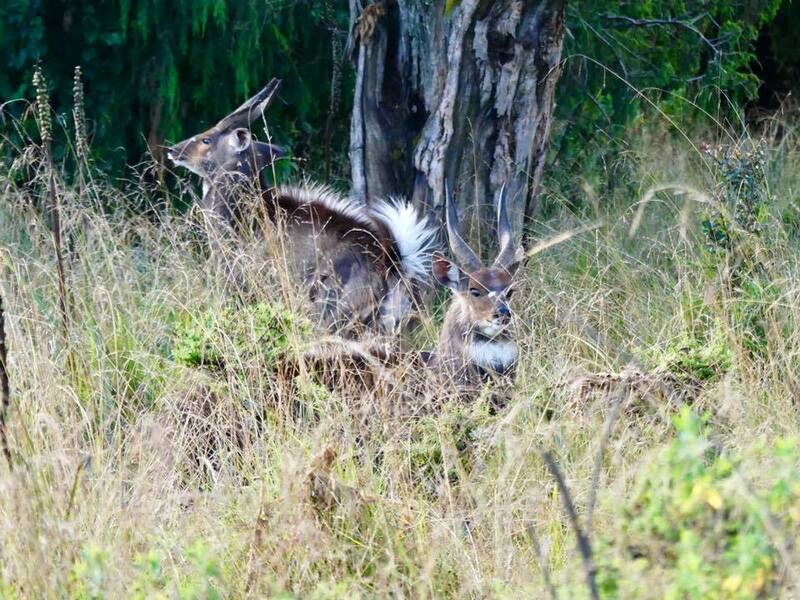 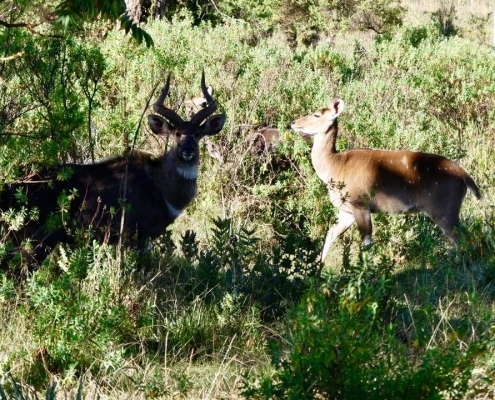 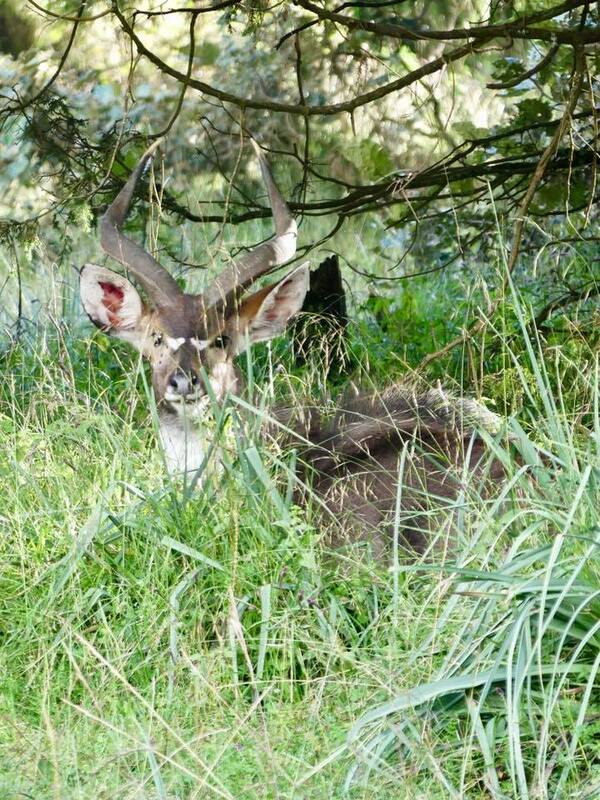 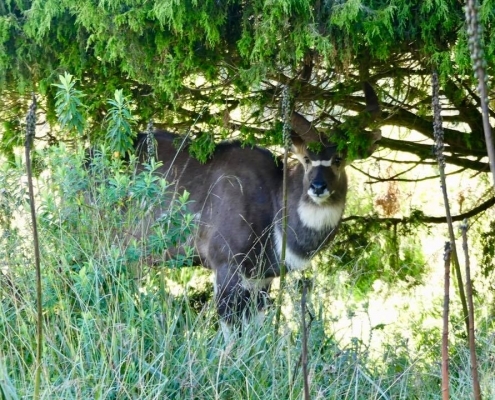 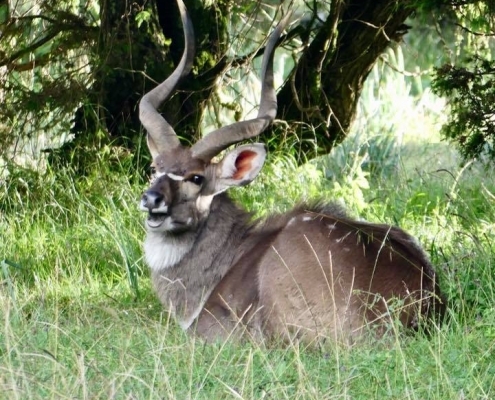 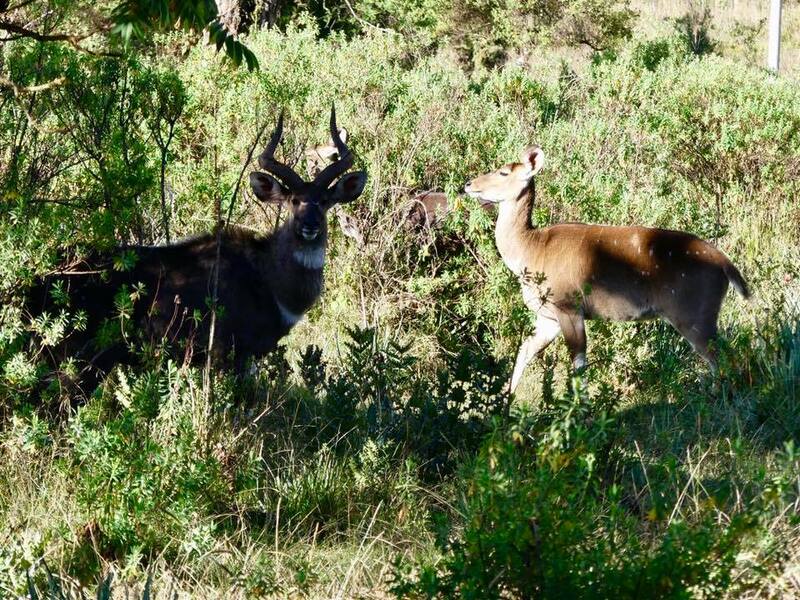 Another endemic antelope is a more elusive Menelik’s Bushbuck – also a big animals with spiky horns and colorful black and white backs. 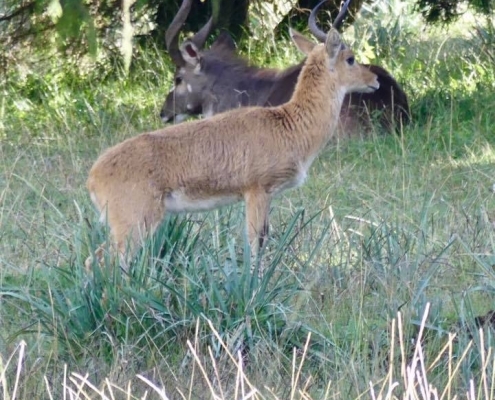 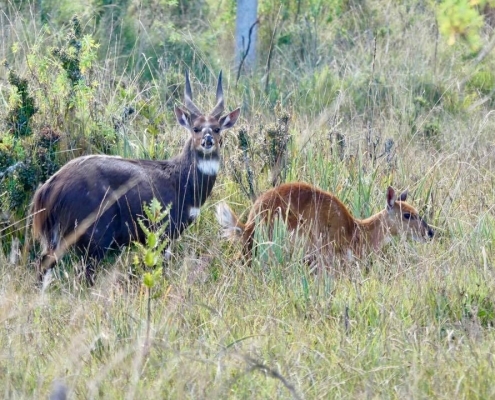 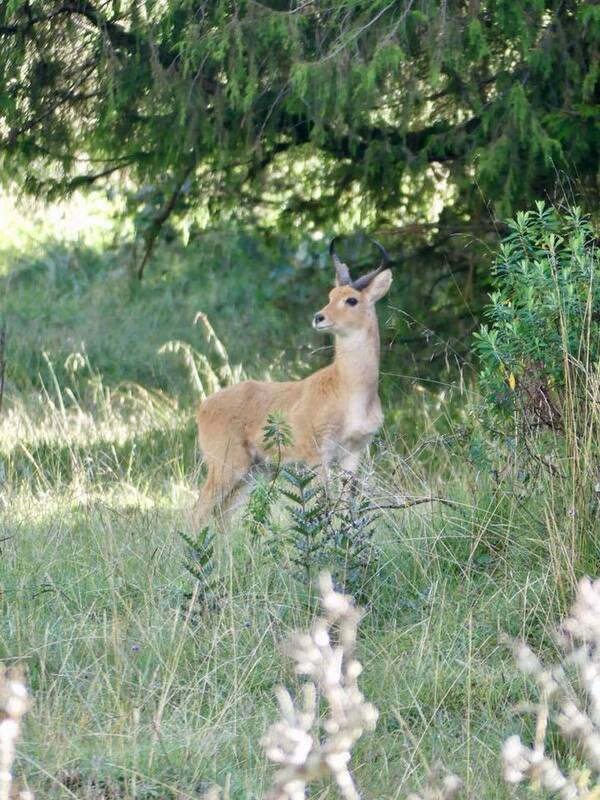 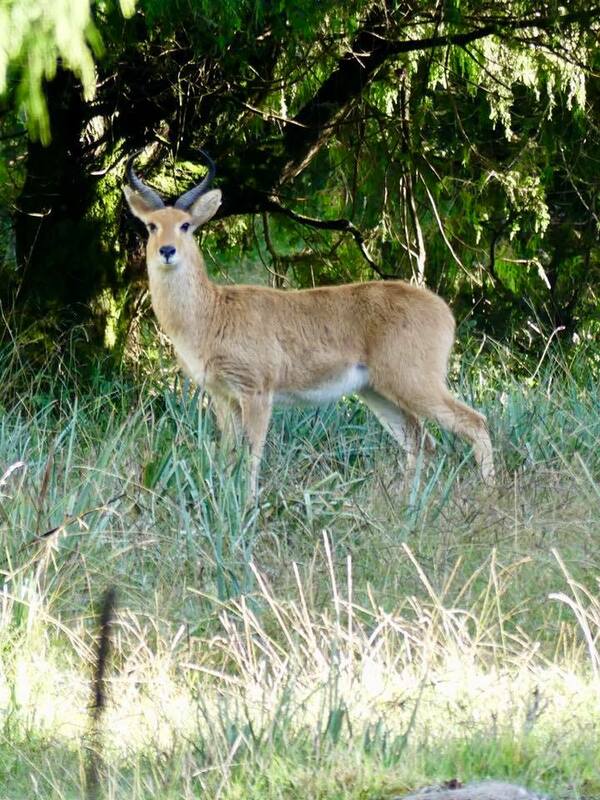 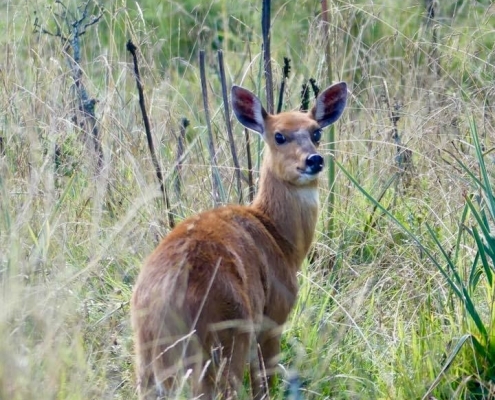 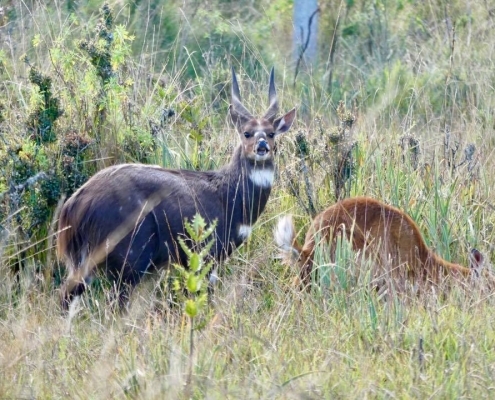 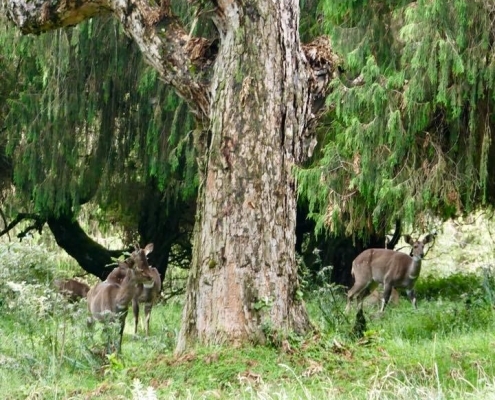 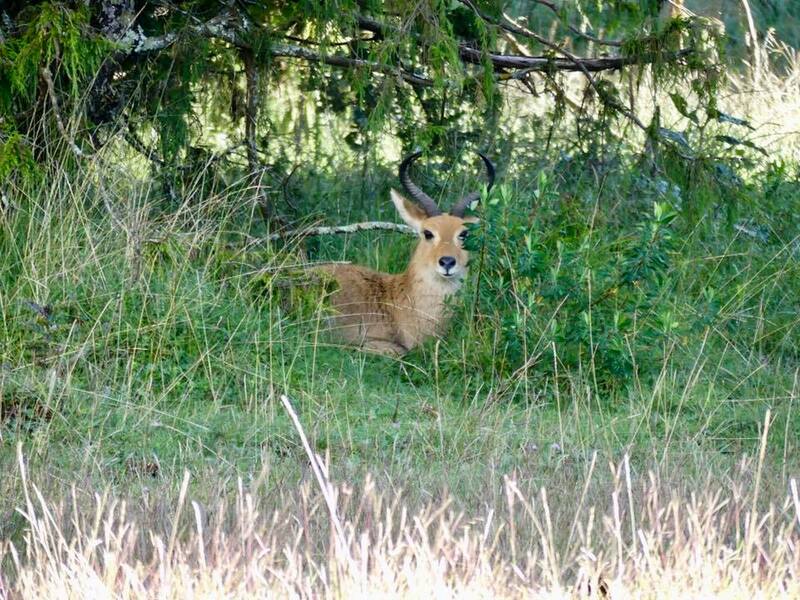 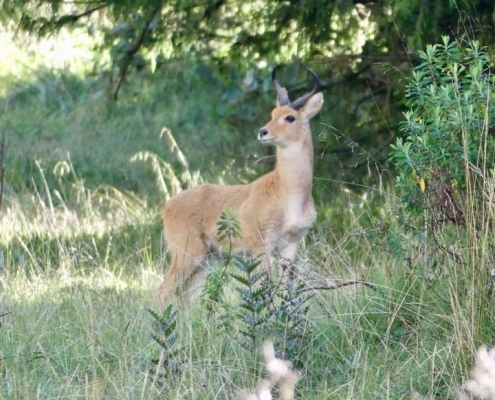 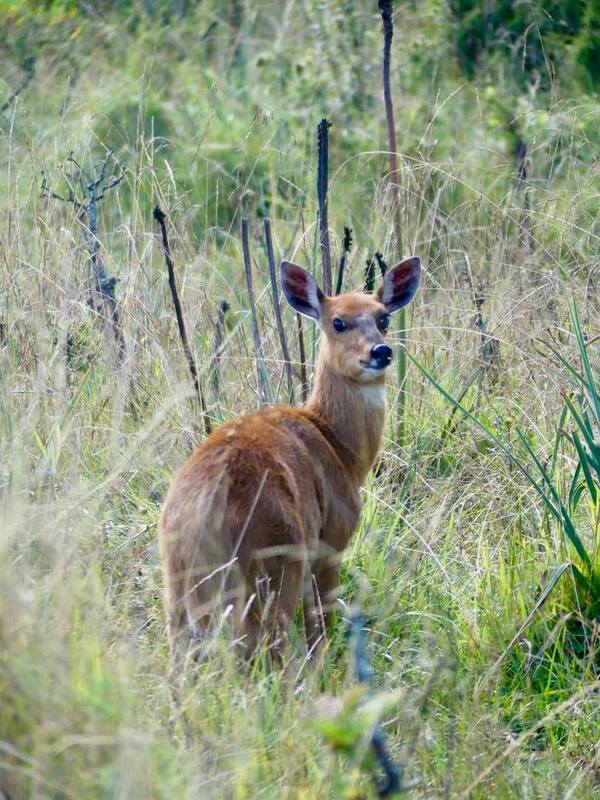 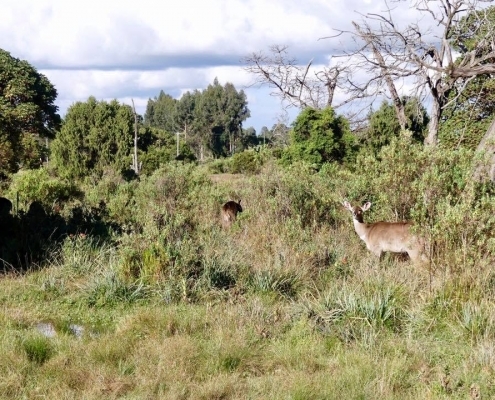 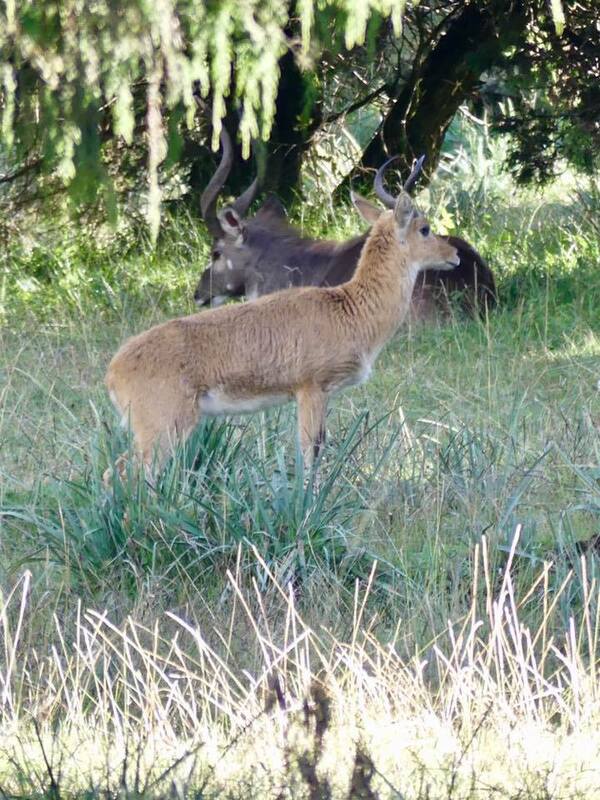 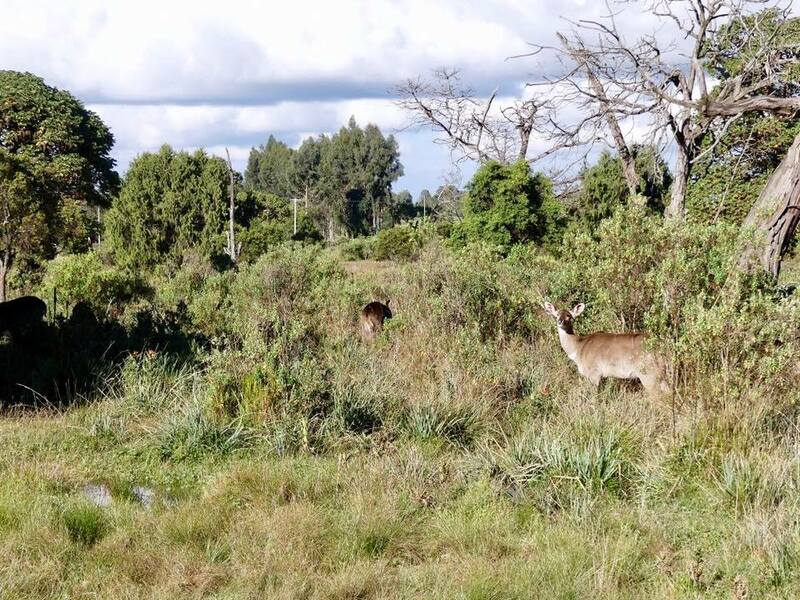 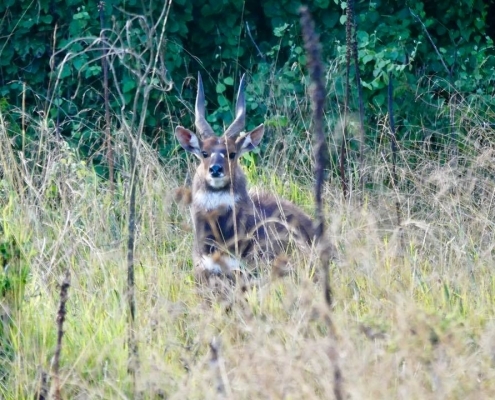 The third endemic antelope is Bohor’s Reedbuck, with lighter color and shorter stubby horns. 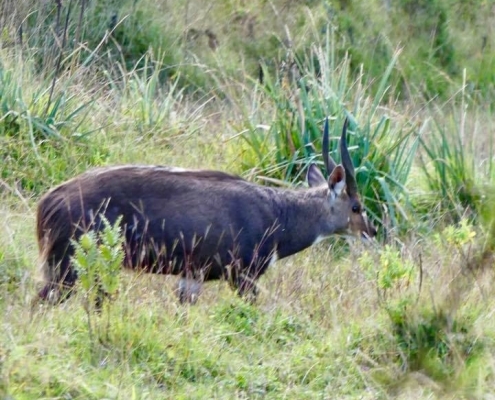 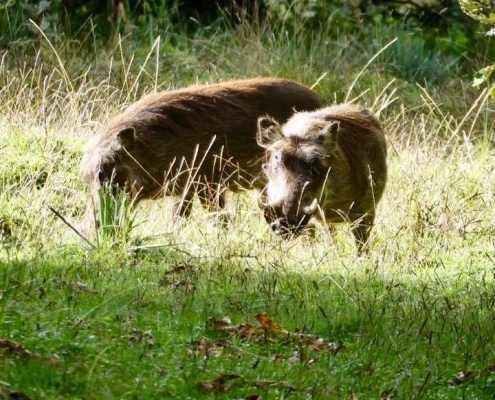 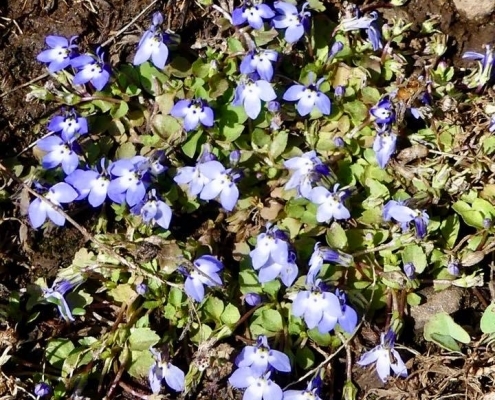 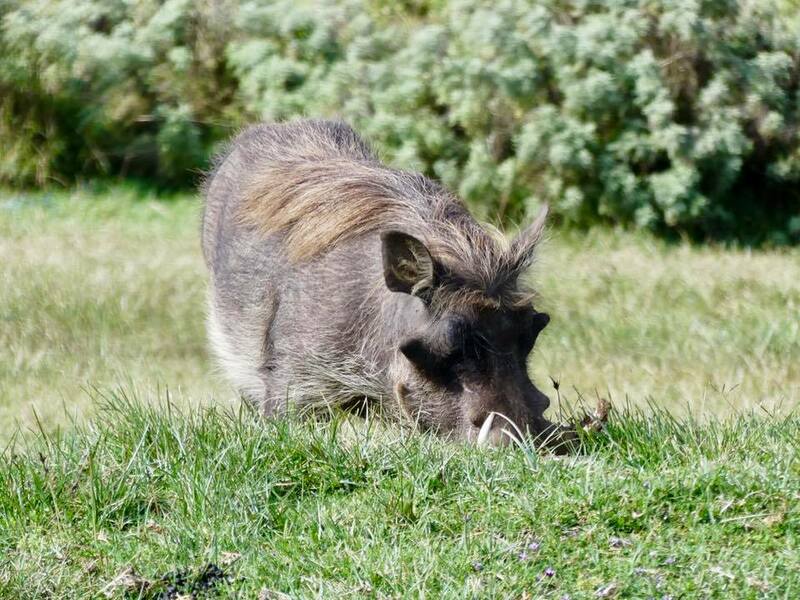 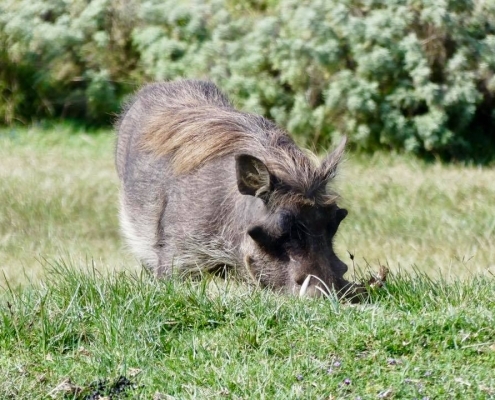 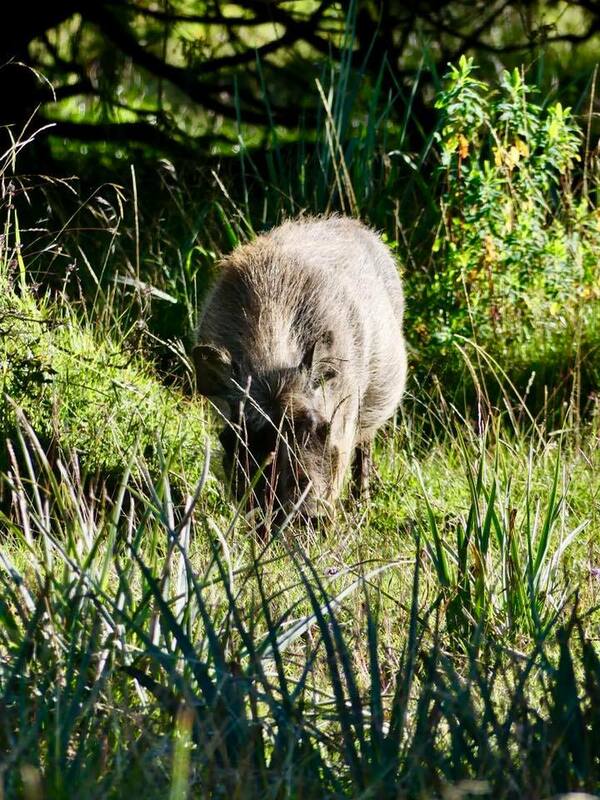 Check, check, check – three new mammal species.